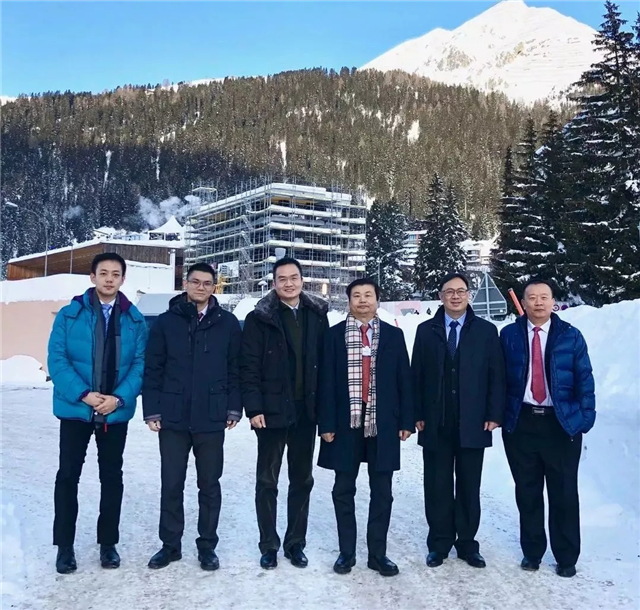 The 2019 World Economic Forum (WEF) Annual Meeting wrapped up Friday in the snow-covered town of Davos in Switzerland. 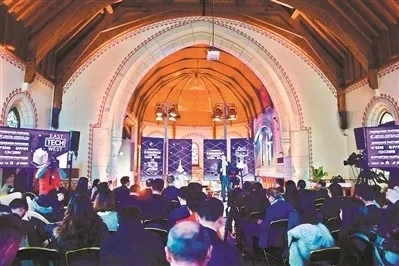 With hundreds of world leaders from all circles of life participating, during the four days of packed sessions topics such as global challenges, the future of Europe, the fight to save the oceans to setting rules for the AI race were discussed. 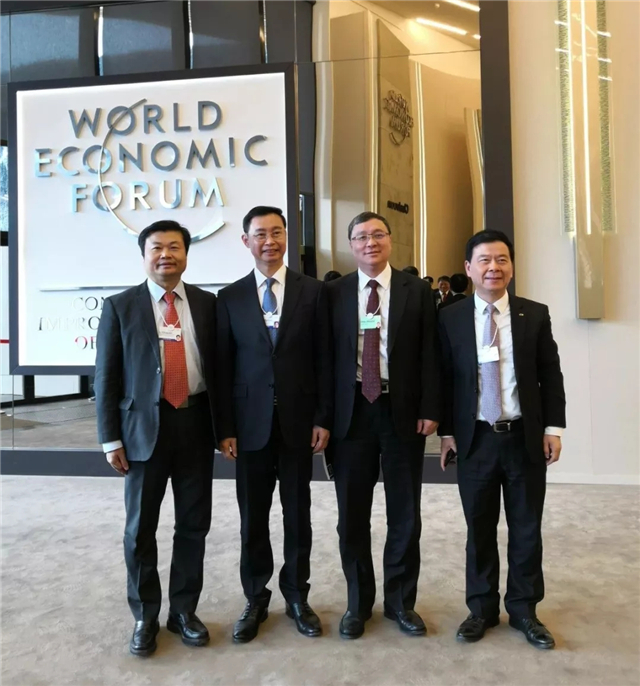 As the biggest pharmaceutical enterprise in China, GPHL has attended the World Economic Forum (WEF) annual meeting for five consecutive years now, aiming to look for more opportunities to cooperate with Fortune Global 500 enterprises. 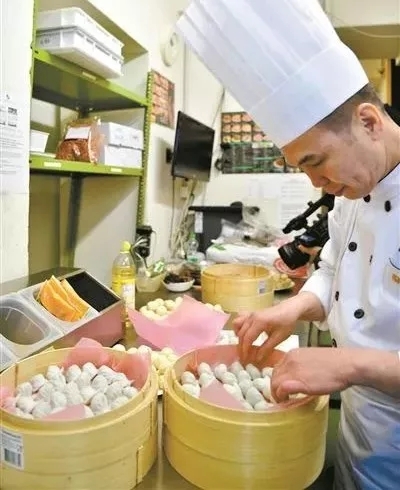 On January 23rd, local time, Guangzhou hosted its roadshow in Davos and presented themselves to the world a vibrant innovator. 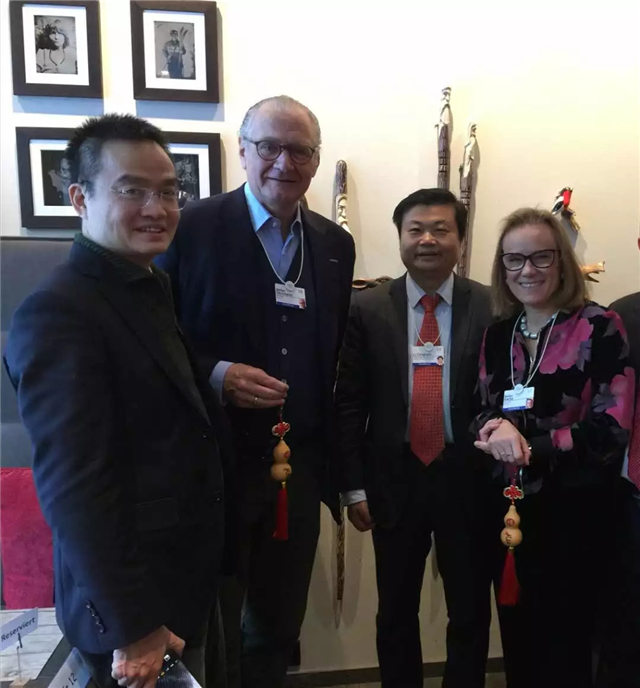 As a member unit of Davos Forum, GPHL also demonstrated TCM culture and its key products to the attendees. 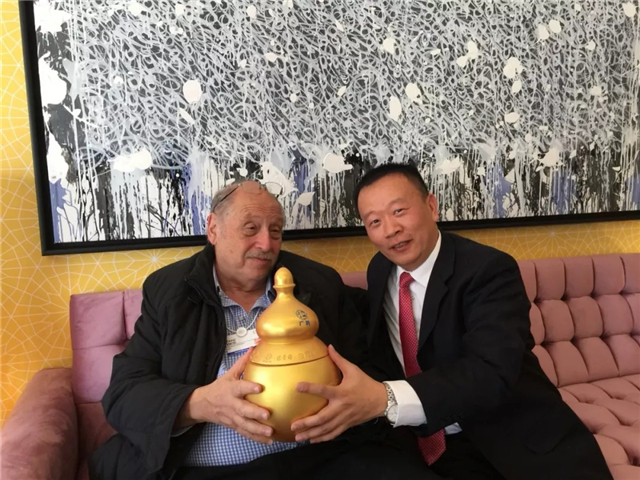 Yossi Vardi, the godfather of Israel’s hi-tech industry, showed strong interest in GPHL, and met with Yuan Cheng, chairman of GPHL’s Guangzhou Hanfang Pharmaceutical Co., Ltd. and Lin Hui, chairman of GPHL’s Baiyunshan Chemical Pharmaceutical Factory. Guangzhou’s Mayor Wen Guohui (L2), Guangzhou’s Executive Deputy Mayor Chen Zhiying (R2) and GPHL’s Chairman Li Chuyuan (L1) pose for a photo at the forum. 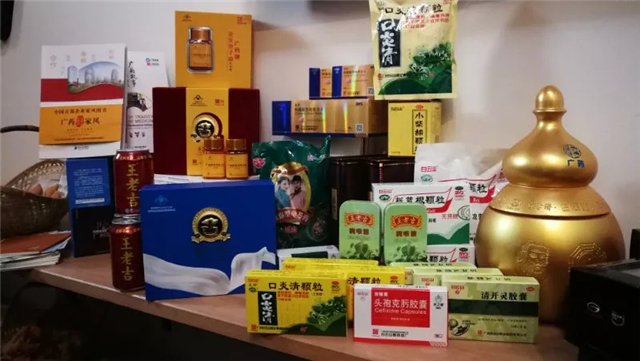 GPHL’s products exhibited at Guangzhou’s roadshow in Davos. 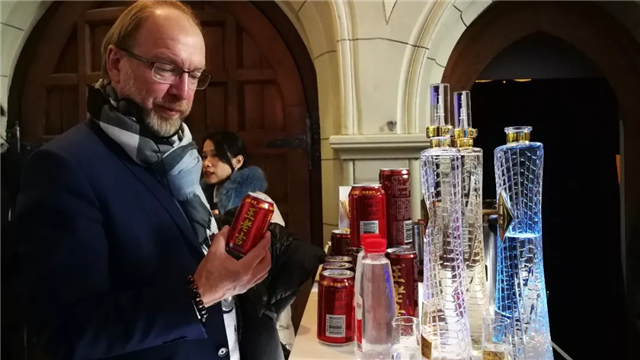 A guest examining a can of Wanglaoji Herbal Tea at the roadshow. 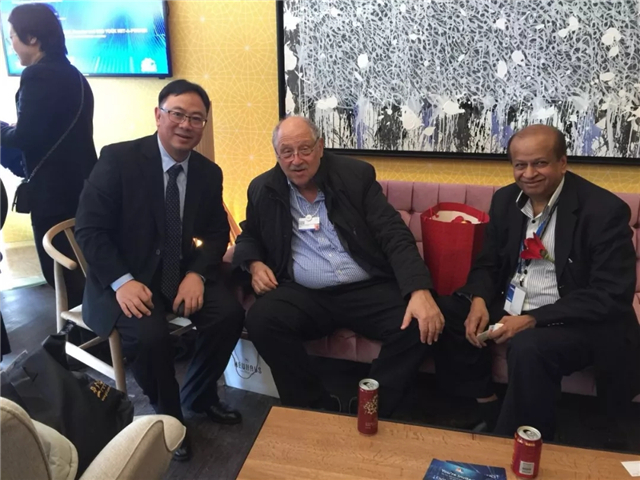 Yuan Cheng (L1), chairman of GPHL’s Guangzhou Hanfang Pharmaceutical Co., Ltd., poses for a photo with Yossi Vardi (M), the godfather of Israel’s hi-tech industry. During the forum, GPHL proactively presented TCM culture to the guests and sent them the ‘GPHL Gourd’ as a gift. The implied meaning of the gourd is longevity, health and happiness. 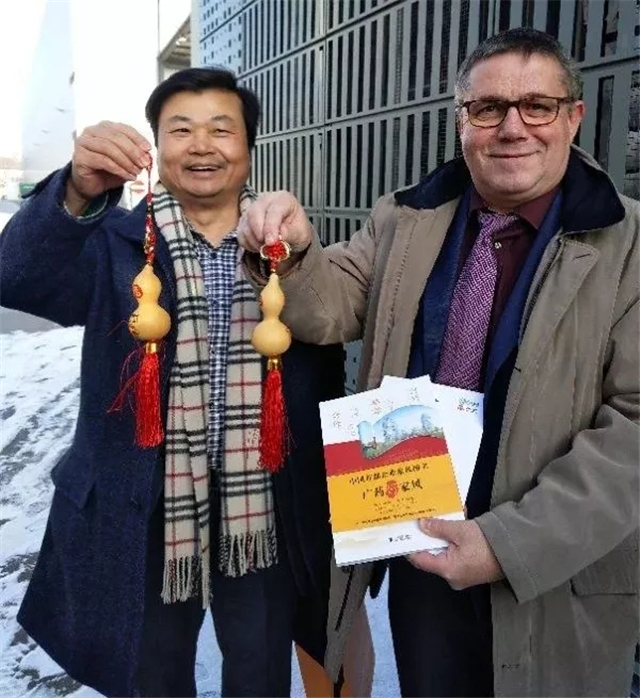 Guangzhou’s Mayor Wen Guohui (R) presents GPHL Gourd to a Swiss guest at the forum. 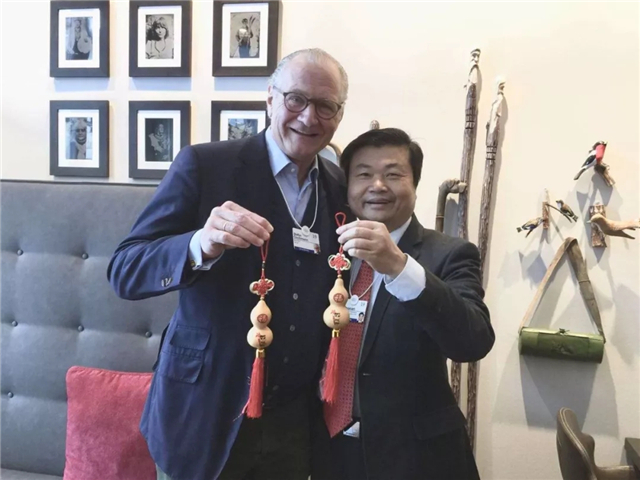 GPHL’s chairman Li Chuyuan (R) and Merck’s CEO Stefan Oschmann pose for a photo, holding GPHL Gourds. 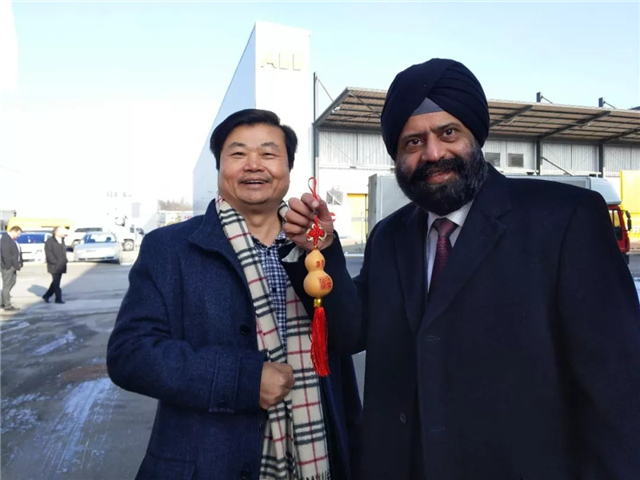 GPHL’s chairman Li Chuyuan (L) and a guest pose for a photo, holding GPHL Gourds. Lin Hui (R), chairman of GPHL’s Baiyunshan Chemical Pharmaceutical Factory, presents a GPHL Gourd to Yossi Vardi. 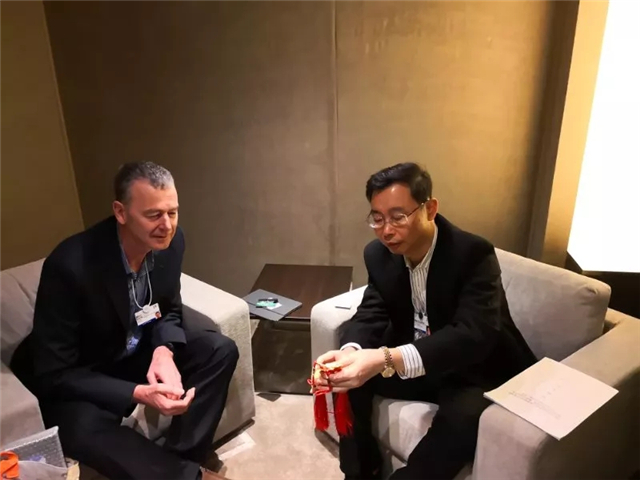 During the event, Li was in dialogue with Stefan Oschmann, discussing the joint research and development of antineoplastic drugs and bio-med. The two parties have come to a preliminary agreement on cooperation. GPHL’s chairman Li Chuyuan (R2), Zheng Jianxiong (L1), chairman of GPHL’s Guangzhou Pharmaceuticals Corporation, and Merck’s CEO Stefan Oschmann (L2) pose for a photo at the forum. A group photo of GPHL’s delegation at the forum.